South Melbourne Market is my go-to place for all my fruit and veg shopping every week, but of course it's so much more than that. 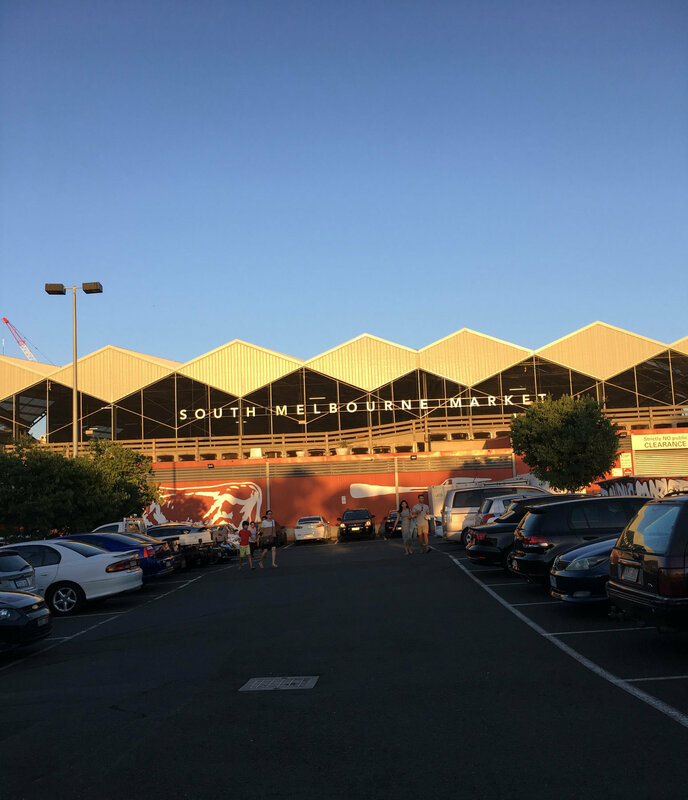 It's not so massive that I get sick and tired of traipsing up and down aisles forever with a lot of repetitive shops like some markets, but pretty large enough to do some serious shopping. Just check out the night market's Facebook page pics to see just how perfectly large and vibrant the market is, and you'll see why I love it! I feel invigorated and alive every time I go there during the day because of the bustling yet intimate atmosphere. Dare I say that the fruit and vegetables are also so fresh, with great prices, compared to some of the supermarkets in the inner city area, where I live. There are a few favourites of course. I can't go past Agathé Pâtisserie for her beautiful, made on the spot, fresh croissants. Obviously everyone else feels the same way as she sells out pretty quickly, especially on the day after she was featured on Channel 10's The Living Room. The lines on that day were insane! A faithful, I did my time and got my reward. Boisdale Best seems to be where I end up shopping for all my fruit and vegetables. They're farm fresh, and for me, affordable, and the service is always pleasant. Check out their Facebook page and their website, for online shopping. 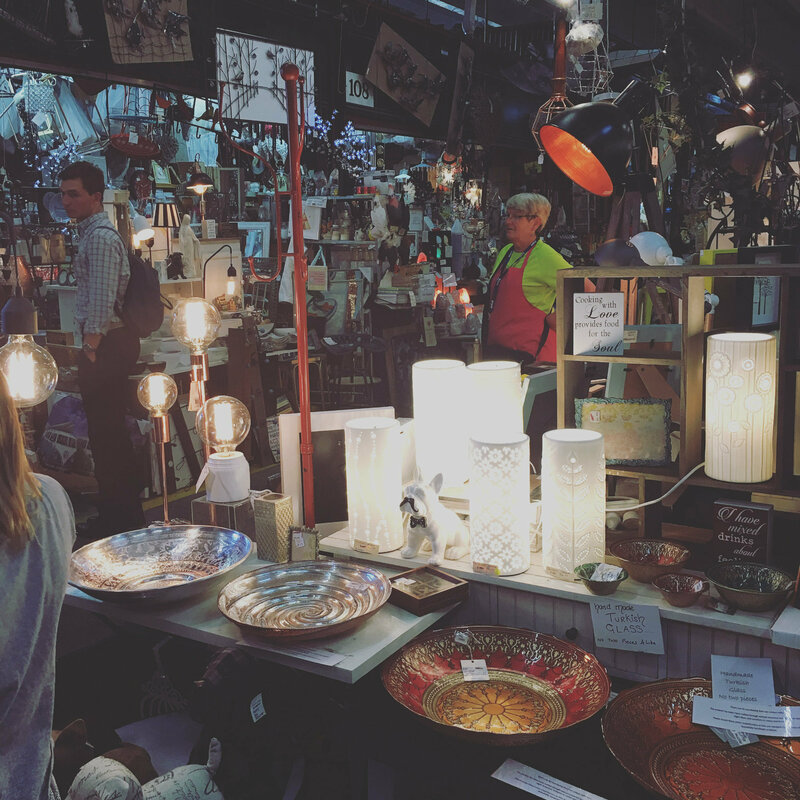 I don't need to crow about all the homeware, giftware and designer stalls the market has, because that's what a good market is all about, and this market certainly caters to its clientele. 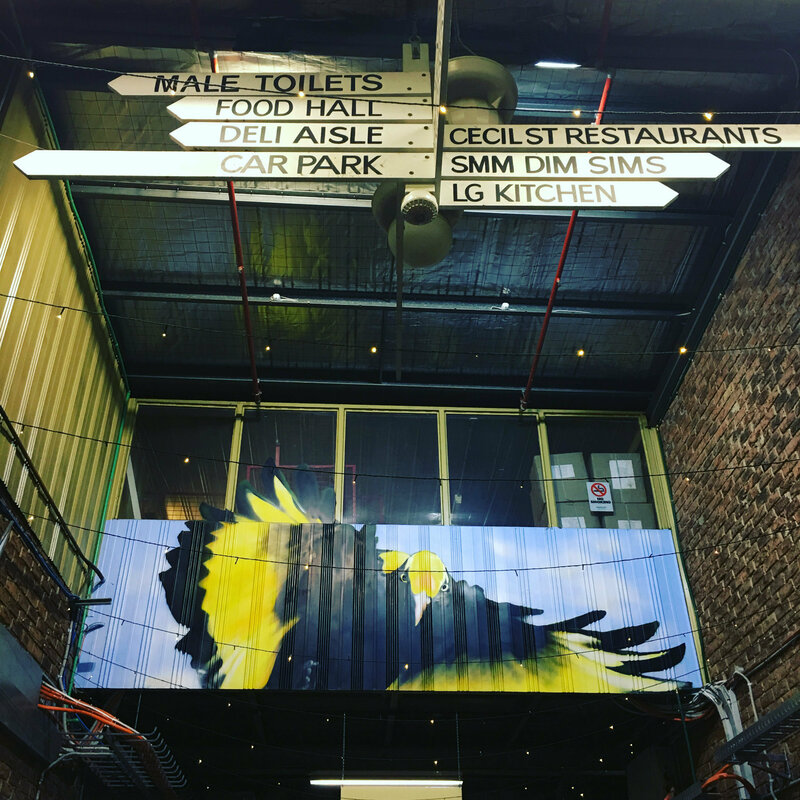 What I love best is the number of eateries that surrounds this perfectly sized market (for me), that makes the experience feel more relaxed; like visiting an interesting old friend, with lots to see and eat. 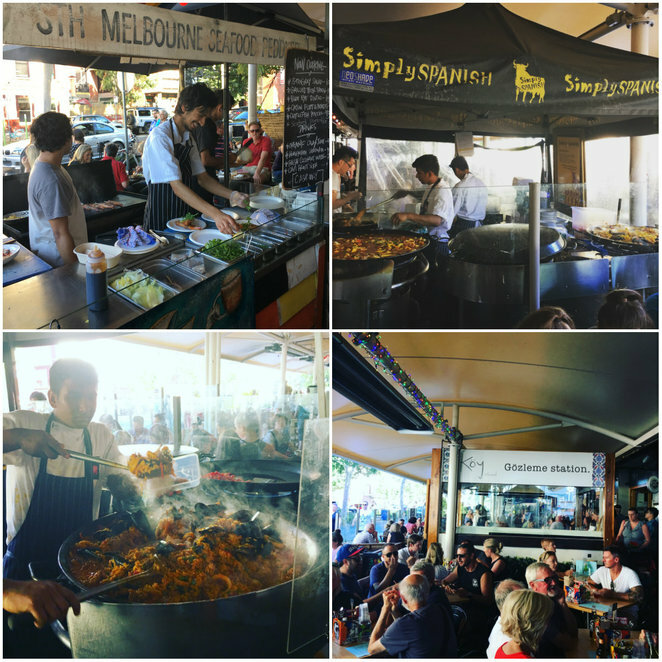 In the food department, I've been a little hooked on Simply Spanish and their seafood paella. Delicious and hits every spot in the comfort food department. It's no wonder, as they recently won the annual championships in Valencia, for best paella outside Spain with their snail and rabbit paella. 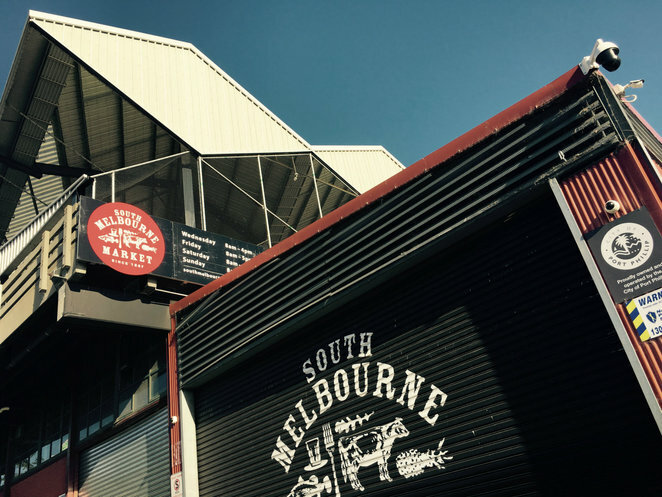 My next target is going to be the corner stall, The South Melbourne Seafood Peddler. They're always flat out and you're lucky to get a look in. Never fear, I'll get there, as I eat my way around the market, tasting all the tasty morsels on offer. This is better than going home to mum for food; there's so much on offer. I digress about all the goodies that makes this my favourite regular weekly market. This is the first time I've attended the night market, and if I thought daytime was great, wow, night market is party time. 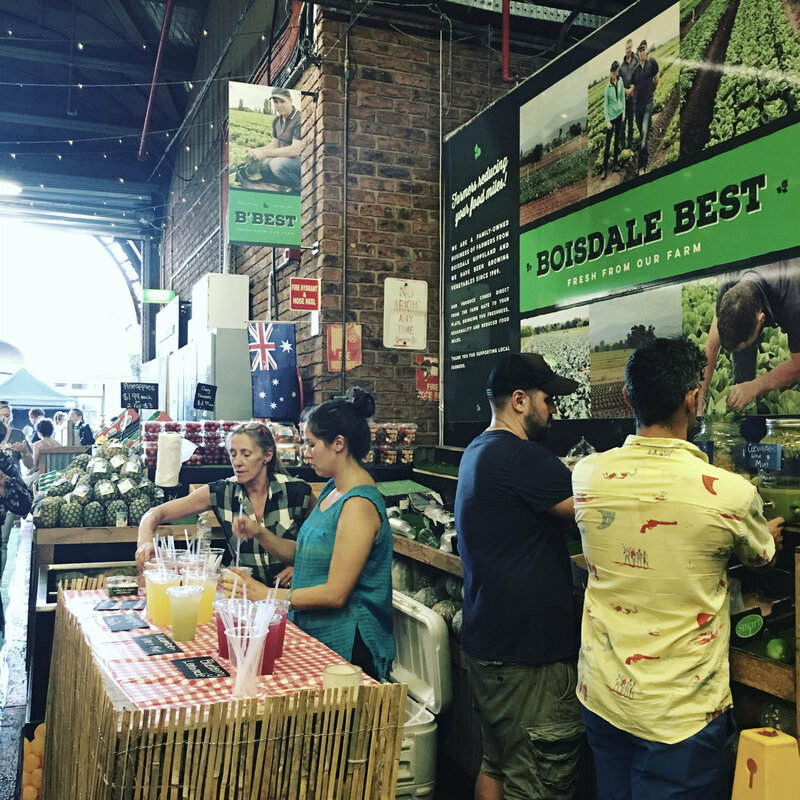 First there was the reinstated tradition to celebrate South Melbourne Market's 150 years. 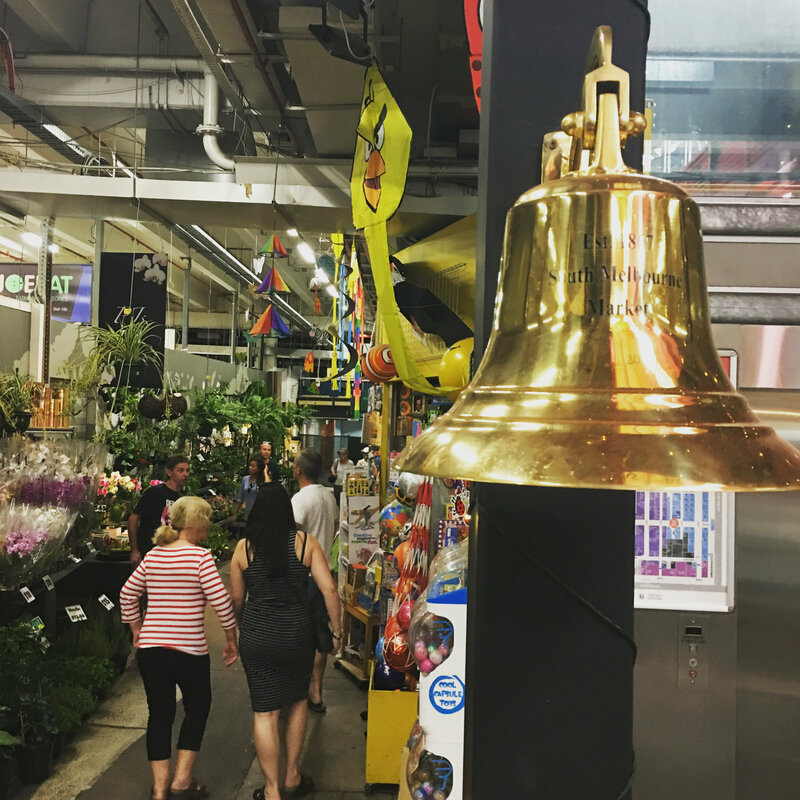 A large brass bell used to be tolled to signal the beginning and end of trade. However, this historic bell was lost and has not been seen since 1929. A new bell has been installed and will be rung as before for the rest of the year. The market is still on the hunt, with a romantic notion that the old bell may yet appear. You can benefit from the promotion of this night market. Enter here to win a 'boot of loot' valued at more than $450. Competition closes 28 February 2017 at 5pm. 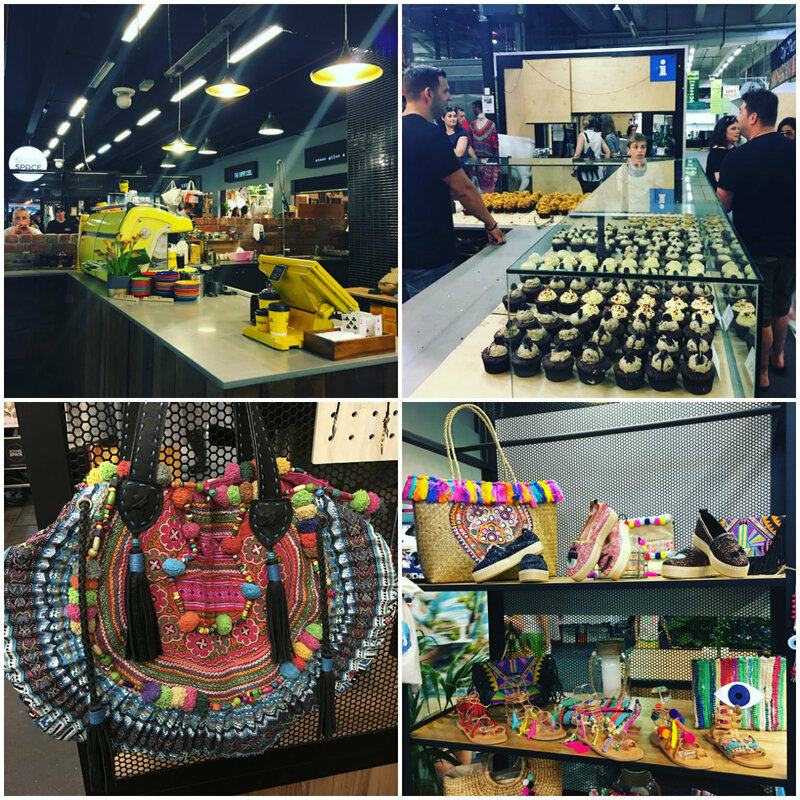 You can also win a $250 market voucher in their Insta Photo competition. 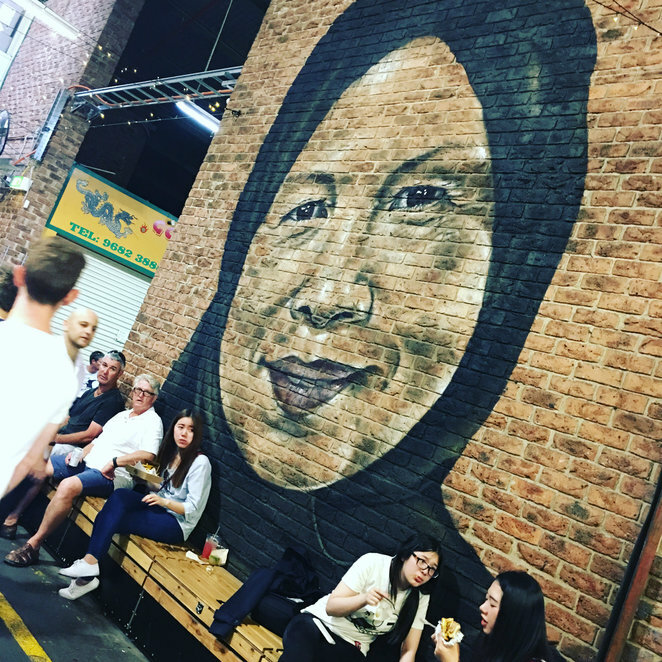 Post your favourite South Melbourne Night Market happy snap on Instagram to enter, and don't forget to tag them. Competition closes Friday 24 Feb, so get snapping. If you're a MasterChef fan, they're filming the next season and on Wednesday 18 Jan, you can go along and be a part of one of their exciting team challenges from midday, 12 noon. As you can see, this night market works hard at entertaining you. 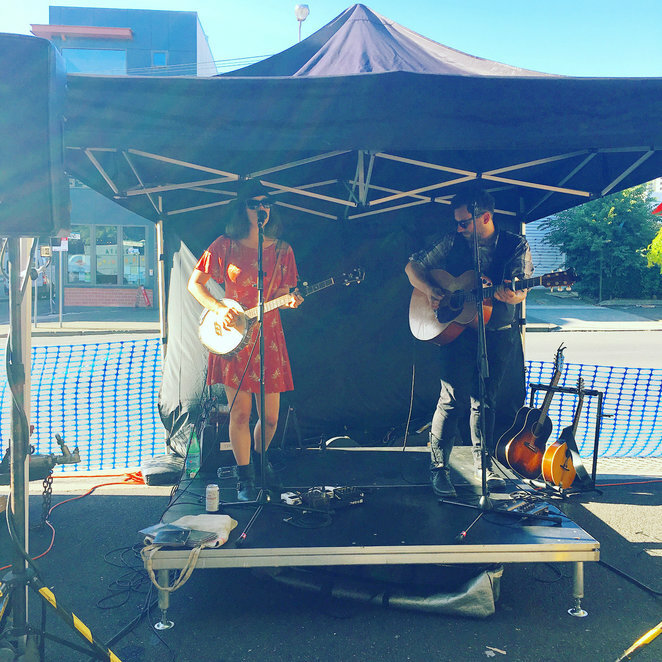 It's more than just market shopping, with a feast of street food, a line-up of food trucks, restaurants, food carts and bars, there's also a free line-up of live music across four stages, so be sure to catch your favourite musos. On the night I was there, Ayleen O'Hanlon and Rich Davies were the ones to watch for me. Energetic and amazing. Will be looking out for their next gig, that's for sure. I highly recommend you head out to enjoy this night market experience that's ongoing till 23 February on Thursdays from 5.30pm onwards, under the verandahs of Coventry and Cecil Streets, South Melbourne. There's more than ample parking all around, including rooftop parking, with the first two hours for free.